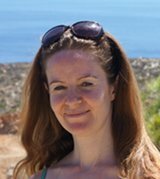 My name is Birgitte Coste and I'm the owner of this website Positive-Parenting-Ally.com. Positive-Parenting-Ally.com strives to maintain the highest standards of decency, fairness and integrity in all its operations. Likewise, I am dedicated to protecting my customers' and online visitors' privacy on my website. For example, if you personalize the site's pages, or register with any of the site's services, a cookie enables Positive-Parenting-Ally.com to recall your specific information on subsequent visits. We receive an affiliate commission for some of the products/services sold on Positive-Parenting-Ally.com. The affiliate services platform we currently use is SendOwl. SendOwl is a bit different from many other companies in that category as it only works to provide the software and setup the transaction between the buyer (you) and the seller (the one with the product). So even though my role is that of an affiliate, SendOwl's role is basically that of a payment processor. The service I use to help me sell my digital products is via the pop-up store, Ganxy. The Ganxy widget is a software product that facilitates the service of buying my digital products. If you decide to purchase my products, you have the choice of using PayPal through the Ganxy pop-up store. If you choose to buy an affiliate product directly via my site (and choose not to go through the seller's site), you will also pay through Paypal. The payment processing is not done on Positive-Parenting-Ally.com but by the payment processor. We do not have access to your payment details such as credit card number. 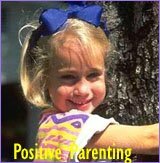 On Positive-Parenting-Ally.com you will find links to Facebook, Twitter, Pinterest, Youtube, G+, Tumblr and Reddit. Some of these links let let you share content with your friends and followers. When you click on these links, your browser connects directly with that site and sends information such as your IP address, the date and time of your visit and information about how you use the social site. Positive-Parenting-Ally.com offers RSS as a way for you to get notifications on content updates. We use Feedly and My Yahoo to let you subscribe to these updates via your email address. Below are links to the privacy policies of each platform. If you choose to refuse Positive-Parenting-Ally's cookies, you may not be able to fully experience the interactive features of the site. Positive-Parenting-Ally.com may collect personally identifiable information from you in a variety of ways, including, but not limited to, when you visit our site, register on the site, or fill out a form, and in connection with other activities, services, features or resources we make available on our site. 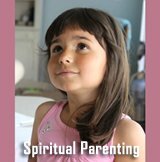 Positive-Parenting-Ally.com contains links to other websites that may be of interest to you. However, once you have used them to leave our site, we do not have any control over that other website. Therefore, we cannot be responsible for the protection and privacy of any information you provide while visiting such sites. These sites are not governed by this privacy statement. Always exercise caution by reviewing the privacy statement of the website in question before continuing to use it. If we sell Positive-Parenting-Ally.com, the information we have obtained from you through your voluntary participation in our site may transfer to the new owner as a part of the sale so that the service provided to you may continue. In that event, you will receive notice through our website of that change in control and practices, and we will make reasonable efforts to ensure that the purchaser honors any opt-out requests you might make.